Not interested in Mechanicsburg ? Please choose a different community. All day! Happy Grandparent's Day! We are central PA's only bowling center that is smoke-free and alcohol-free. Click to schedule your FREE estimate OR call us 717-697-3528 morning, noon or night, we are here for you! Click logo for full menu online. OPEN 7 days a week! Thank you for visiting TownPlanner.com for your local events, coupons, and things to do in Camp Hill, Carlisle, Mechanicsburg, East Pennsboro, Lemoyne, New Cumberland, Hershey, Hummelstown, Harrisburg and our neighboring communities. • TARGET YOUR CUSTOMERS. Town Planner reaches homes within specific market areas. We do not waste your dollars on prospects who may be to far away. Choose the communities that make the most sense for your business and budget. • COST EFFECTIVE. Town Planner network of 4+ million calendars printed and distributed affords us extraordinarily low economy of scale production costs. We have programs for practically every budget. • GOODWILL MARKETING. Residents recognize businesses who providing the community with a useful gift that they love to receive, hang up, and use! And make no mistake; this goodwill translates to stronger communities, but increased sales and profits for participating businesses. You will be noticed. • USEFUL AND APPRECIATED VENUE. When was the last time someone thanked you for advertising? 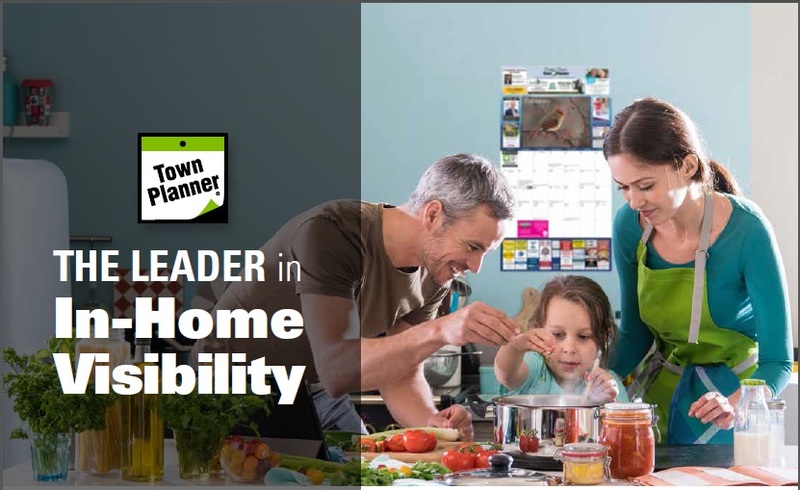 The Town Planner is extremely useful and is appreciated for many reasons like the local events and school schedules, and money saving offers. Our advertisers and sponsors are appreciated for bringing the Town Planner to their community, simply put: our patrons LOVE their TP calendars. • OPTIONS, OPTIONS, OPTIONS. Lots of options to participate monthly, every other month or quarterly. We have coupons, displays, billboards, photo sponsorships, inserts and more. You are only limited by your creativity and your budget. •www.TownPlanner.com Our great print product with incredible staying power and shelf life is paired with an awesome online events calendar. We showcase you there with ad tiles, links, events, promotions. You are automatically promoted through our award winning weekly e-newsletter and mobile app!